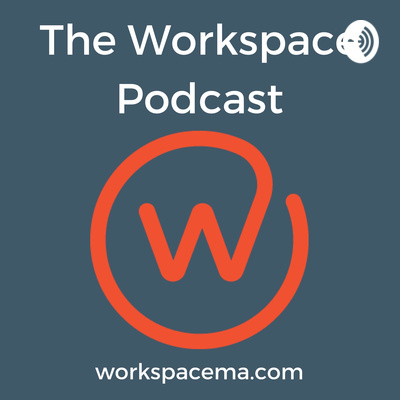 The Workspace Podcast is an open forum for business owners and leaders to share actionable thoughts, ideas and best practices. Mal Stanton McCunney of School on Wheels Massachusetts was a recent guest on The Workspace Podcast. Mal is director of marketing for this wonderful charity that Workspace will soon be supporting with your assistance. School on Wheels supports the academic, social and emotional growth of students impacted by homelessness. We provide customized backpacks and school supplies, one-on-one mentoring and tutoring, and college assistance to Massachusetts students ages K - college. Our constituents are children and youth grades K - college who are living in family shelters or, as is the case with young adults, unaccompanied youth. Our supporters are individuals, civic and educational groups and corporations who support our mission and work. There are more than 21,000 students in MA public schools are identified as homeless. The average age of a homeless person in MA is 8 years old. Chad O'Connor Northeastern University Adjunct Professor of marketing, advertising and corporate communications. Chad is also an advisor and consultant for several start up companies both here in the states and abroad. I have wanted to interview someone in higher education for quite a while. Chad was gracious enough to spend some time with me and discuss a few interesting topics including: - what is it like educating students who have grown up with smartphones? - how has his curriculum in marketing and advertising changed given the pace of innovation? My Jacquelynne Maloney (aka Jack) joined me on The Workspace Podcast to discuss her practice as an energy healer. Jack has an interesting back story and path that lead her to helping others through energy healing. I have gone through a life activation session with Jack and it was life changing. PJ and I sat down for a great discussion about his journey in life and business. PJ is a natural hustler and budding multi-media influencer. He currently manages multiple renovation projects in Hingham MA and is launching a TV show on NESN on 1.5.19. ------- PJ, a Cape Cod native grew up visiting his dad in Connecticut where he learned his family trade of Carpentry. Being surrounded by mechanics and trades people in his family he quickly learned many additional trades including general contracting, landscaping, finish carpentry and more. After attending Hofstra University for communications he pursued a career in the corporate world building a knowledge base of marketing, sales and communications. After years of the corporate world experience he started to take his skills as a manager and adapting them to his hands on skills as a carpenter. The natural step was to start buying, fixing and selling real estate. His philosophy is to buy the cheapest houses in the most expensive neighborhoods. He looks for the worst of the worst, the house everyone else turns their nose at. In his mind every house has potential, you just need to buy it right. Some just some need a bit more love than others... PJ resides in Dedham Ma and operates his business on the south shore of Massachusetts. He lives with his wife Lizzy, daughter Oakley and never lets his sidekick Copper leave his side. Julie owns a boutique interior design studio in Hingham, MA. She offers design services ranging from full renovations to paint consults or refreshing spaces and everything in between. Whether it's selecting the right rug or window treatment, it's nice to have a professional help so that you get it right the first time. From Julie: I have my masters in social work and I've worked as a youth and family counselor, then transitioned into the prevention field and was the Director of Prevention for SADD National. I always loved design and new that at some point I was going to transition into that field. I went back to school at the New England Institute of Art in 2010 started my business. My grandmother was a designer and it's in my blood. She's 101 and we still talk design! I definitely use my training as a social worker and therapist in my interior design! Episode 15 - Bernie Heine of Professional Business Coaches Inc. The business and life coaching business is growing. Bernie Heine is a business coach and sat down for a discussion to answer the following questions and more: What is business coaching? Who should consider hiring a business coach? How does business coaching differ from life coaching? How does consulting compare to consulting? How are his services delivered and what value do his clients enjoy? Professional Business Coaches, Inc. helps business leaders achieve their vision, meet their challenges, and succeed by working with them and their teams individually or in groups on topics such as: leadership, business strategy, marketing, sales, customer service, operations, finance, and management training. This is Part 2 of our podcast with Julia Geisman. Julia and I had an enlightening discussion on the fact that the "glass ceiling is real". We covered topics including how it manifests itself, why it's pervasive and what can companies do to address it. Julia Geisman, CEO of CareerAgilitytm LLC, has spent her career advocating for gender diversity and for women in leadership. She has spent the majority of her career as an entrepreneur and has come face-to-face with the biases and variations of the limitations professional women continue to experience. Geisman is passionate about mitigating unconscious gender bias and behavioral expectations. Her areas of expertise include cross-gender communication, women in leadership, women as change agents, managing gender and generational differences, emotional intelligence, team building, conflict management, negotiation skills, and career management. She coaches women, executives and senior leaders as well as conducts workshops nationally and internationally. Geisman has a Masters degree in Organizational Management and Development and has been an adjunct professor at BU’s Questrom School of Business’s MBA program, Suffolk University and Wentworth Institute University. Julia and I had an enlightening discussion on the fact that the "glass ceiling is real". We covered topics including how it manifests itself, why it's pervasive and what can companies do to address it. Julia Geisman, CEO of CareerAgilitytm LLC, has spent her career advocating for gender diversity and for women in leadership. She has spent the majority of her career as an entrepreneur and has come face-to-face with the biases and variations of the limitations professional women continue to experience. Geisman is passionate about mitigating unconscious gender bias and behavioral expectations. Her areas of expertise include cross-gender communication, women in leadership, women as change agents, managing gender and generational differences, emotional intelligence, team building, conflict management, negotiation skills, and career management. She coaches women, executives and senior leaders as well as conducts workshops nationally and internationally. Geisman has a Masters degree in Organizational Management and Development and has been an adjunct professor at BU’s Questrom School of Business’s MBA program, Suffolk University and Wentworth Institute University. Marcela Pelaez owns The Coffee Dream Company. She and her team import fresh coffee from Colombia to south Florida where it is roasted and packaged. This ensures that their customers enjoy the freshest coffee possible. They only have a direct to consumer distribution model for now, available on Amazon soon! Melissa is a professional event planner and caterer. She concentrates on providing her clients with the experience they envision for their next important event or party. We had a terrific discussion on the emergence of the current state of our service based economy. The challenge for small businesses today is to ensure that each customer walks away with a positive impression of their experience with the product or service you provide. If you are thinking about developing a new website for your business, listen to this podcast! We all have websites but the economy, social media, smart phones may have left your current site in the dust. Everything about websites has changed dramatically in the last several years and you may not be putting your best foot forward online. Dave and I had an informative discussion on what to do next if you find yourself in this position. Dave DeBlasio, of DeBlasio New Media Marketing, works with established and growth-stage companies to help business owners and decision makers understand how to properly translate their message to the web. By working diligently to understand your business they design and develop results oriented websites and internet advertising campaigns that meet your company's specific needs and reach the right customers for your business. Dave and his team help you solve the question, "How do you use the latest tools available to your company and your customer base to improve and grow your business?" Robin Samora is a small business marketing and public relations expert. Robin Samora is a seasoned entrepreneur with decades of marketing, sales and advertising experience. She uses PR, social media and free publicity strategies – as well as Brand Ambassador marketing – to influence audiences, gain attention, build credibility and expert status. We had a great discussion on the topic of personal and business branding. In today's world it's essential to develop and promote ones brand on social media and other outlets. Robin has gives us some great advise on how where to start, how to execute and tools to automate it. Let us know what you think. info@workspacema.com Robin can be reached at robinsamora.com, Robin@robinsamora.com and @robinsamorapr on her social channels. Rachel Leone owns Leone Marketing Solutions. If you need to put your company name and logo on a promotional product to retain key employees or jump start a marketing campaign, call Rachel! Leone Marketing Solutions is a Boston based promotional products and apparel firm with roots in the industry for over 25 years. Rachel is a marketing expert. Leone is a 100% women-owned and a member of ASI® with top industry credentials. Nabil is the CEO of Insurance Menu. They are focused on modernizing how employee benefits and individual products are delivered to small businesses. We had a great discussion on a number of topics including how Amazon Web Services is analogous to flexible office and coworking providers. Nabil also provided some great insights on being an entrepreneur. Emily is a employment law expert and joined us for a wide ranging discussion covering a variety of topics that apply to most businesses. Episode 3 - Diana Bagas of Launch Web Marketing - Is Yelp worth it? Diana Bagas - Social Media Expert. Is spending money on Yelp worth it? And other great insights. Gabby Rene, a tax preparation and financial planning expert joins us to share best practices.